Ashley Sharee Causey, 32, 181 Dwight St., Apt. 3W, New Britain, was charged on Aug. 28 with sixth-degree larceny. Giovanni Carrasqui, 38, 136 Beaver St., Apt. 1, New Britain, was charged on Aug. 28 with first-degree criminal mischief. Brandon Beckmann, 26, homeless, New Britain, was charged on Aug. 28 with first-degree criminal trespass. Brittney Earlina Smith, 30, 274 Cliffside Drive, Torrington, was charged on Aug. 28 with second-degree assault, home invasion, disorderly conduct and second-degree threatening. Saul Casanova, 56, 387 Park St., basement floor, New Britain, was charged on Aug. 29 with sale of narcotic substance. Ashley Avia Johnson, 27, 30 Robert St., New Britain, was charged on Aug. 29 with sixth-degree larceny. Elijah Benjamin Adorno, 25, 112 Newington Ave., Hartford, was charged on Aug. 29 with sixth-degree larceny. Gregory King, 48, 99 Gold St., New Britain, was charged on Aug. 29 with second-degree failure to appear. Nicole Tallarico, 36, 219 Floyd Road, Shirley, N.Y., was charged on Aug. 29 with failure to respond-payable violation. Jenna Lynn Chubet, 20, 340 Annelise Ave., Southington, 20, was charged on Aug. 29 with traveling unreasonably fast and possession of controlled substance ½ to less than 4 ounces marijuana. Isis C. Espada, 26, 357 High St., third floor, New Britain, was charged on Aug. 29 with third-degree assault, risk of injury to a child, disorderly conduct and third-degree criminal mischief. Eric Jose Figueroa, 24, 357 High St., third floor, New Britain, was charged on Aug. 29 with disorderly conduct, risk of injury to a child and third-degree criminal mischief. Joel Llanos, 40, 184 Allen St., Apt B3, New Britain, was charged on Aug. 30 with disorderly conduct and risk of injury to a child. Rochelle T. Nadeau, 27, 42 Farmington Ave., third floor, New Britain, was charged on Aug. 30 with risk of injury to a child, third-degree assault and disorderly conduct. Christine Marie Flores, 31, 64 Woodland St., second floor, New Britain, was charged on Aug. 30 with third-degree robbery, interfere with officer/resisting and second-degree breach of peace. Candice Rita Wilkins, 23, 21 Cambridge St., Hartford, was charged on Aug. 30 with second-degree breach of peace and third-degree assault. Diane Dintzner, 52, 23 West Main St., unit 1, Plainville, was charged on Aug. 30 with first-degree criminal trespass, possession of narcotics and use of drug paraphernalia. Marcus Kwabena James, 32, 615 Burritt St., Apt. 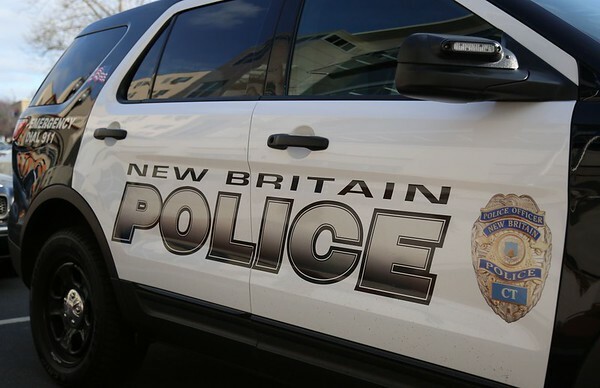 301, New Britain, was charged on Aug. 30 with second-degree assault, second-degree threatening, third-degree assault and two counts of disorderly conduct. William W. Marchinkoski, 48, 86 Sherland Ave., New Haven, was charged on Aug. 30 with second-degree failure to appear. Chardornne T. Bussue, 30, 239 Penn Drive, West Hartford, was charged on Aug. 30 with illegal operation of motor vehicle under the influence of alcohol/drugs, driving the wrong way-divided highway. Posted in New Britain Herald, New Britain on Monday, 10 September 2018 20:55. Updated: Monday, 10 September 2018 20:57.